AMD A8 7410. To ensure you get the best use of your machine, we also back all of our refurbished machines with a 6 MONTH RTB WARRANTY. Laptop exterior is then cleaned using an anti-bacterial solution and polished (where applicable). AMD Radeon R5 M430. Lenovo Ideapad 110-15AST. Ideapad 110-15AST. Quedan exentos de garantía todo aquel producto susceptible de rotura como carcasa o pantallas, que una vez instalado se detecte una rotura. El increíble IdeaPad 110S añade valor a los años venideros. Disfrute de un PC con un magnífico rendimiento y grandes gráficos mientras realiza varias tareas a la vez sin problemas: comuníquese con familiares o amigos, diviértase y trabaje de forma productiva. PROCESADORCORE I3. LENOVO IDEPAD 110. CAPACIDAD HDD751 GB - 1 TB. DESCRIPCION LARGALENOVO IDEPAD 110. Estamos para ayudarte. Disponibilidad: En existencia. CAPACIDAD SSDNO. TECNOLOGIA ALMACENAMIENTOHDD. PORTATIL LENOVO IDEAPAD 110. DESCRIPCION LARGAPORTATIL LENOVO IDEAPAD 110. CAPACIDAD HDD751 GB - 1 TB. 14 días de. Estamos para ayudarte. Disponibilidad: En existencia. CAPACIDAD SSDNO. TECNOLOGIA ALMACENAMIENTOHDD. PROCESADORCORE I3. 14 días de. Estamos para ayudarte. Disponibilidad: En existencia. CAPACIDAD SSDNo. TECNOLOGIA ALMACENAMIENTOHDD. SISTEMA OPERATIVOWINDOWS 10. TARJETA GRAFICACOMPARTIDA. PROCESADORCORE I3. CAPACIDAD HDD751 GB - 1 TB. 14 días de. Estamos para ayudarte. Disponibilidad: En existencia. CAPACIDAD SSDNO. TECNOLOGIA ALMACENAMIENTOHDD. DESCRIPCION CORTALEVES DESGASTES EN TOUCH PAD. CAPACIDAD HDD251 GB - 500 GB. LENOVO EN MUY BUEN ESTADO CON LEVE DESGASTE EN LAS TECLAS. 14 días de. Estamos para ayudarte. Disponibilidad: En existencia. CAPACIDAD SSDNO. TECNOLOGIA ALMACENAMIENTOHDD. Computador PortÃ¡til LENOVO IDEAPAD 110, Ã© um objeto de Segunda MÃ£o que temos em estado usado (com sintomas de uso). O objeto funciona fantÃ¡stico, tem garantia e enviamos por correio em 72 horas. CAPACIDAD HDD251 GB - 500 GB. 14 días de. Estamos para ayudarte. Disponibilidad: En existencia. CAPACIDAD SSDNO. TECNOLOGIA ALMACENAMIENTOHDD. DESCRIPCION CORTASIGNOS LEVES DE USO IMPERCEPTIBLE EN LAS IM?GENES. Lenovo IdealPad 110S-11IBR 11.6" LAPTOP. Very good condition. Have a scratches. ¿En busca de un portátil sencillo y fiable a un precio asequible?. La IdeaPad 110S garrapatas todas las cajas. Ahora, incluso a través de múltiples dispositivos, usted puede conseguir más cosas, más rápido, más suave. QWERTZ KEYBOARD. La clavier est en QWERTZ. Bater�a de 4 Celdas. Teclado Num�rico. WiFi 802.11 ac. Bluetooth 4.1. Conexiones inal�mbricas. Lector de Tarjetas. Enter eBay Mobile Description Summary here. This Lenovo IdeaPad 110-15ISK is in good condition with a few small scratches on the lid and base but the screen is in excellent condition. Lenovo IdeaPad 110-15ISK, AC power adapter. 3.5 mm jack. Windows 10. FAST Lenovo IdeaPad 110 Laptop Modern slim and lightweight design. Few small light scratches on top lid only. A perfect family laptop, also good for gaming. 1TB HDD, reformatted. Silent and energy sufficient nano processor. This Lenovo laptop is sturdy and well built in a no nonsense traditional yet modern textured design, resisting fingerprints and wear. Its award winning keyboard makes typing a breeze. Perfect for children and elderly due to its ease of use. EX-DISPLAY LAPTOP SHOW VERY SLIGHT SCUFF MARKS ON THE TOP COVER. LAPTOP COMES IN REPLACEMENT BOX WITH AC ADAPTER.BOX CONTENTS: LAPTOP , AC ADAPTER. TECHNICAL DETAILS: Brand name Lenovo Item Weight 2.1 Kg Product Dimensions 26.2 x 38 x 2.3 cm Item model number 80TL0010UK Color Black Screen Size 15.6” Screen Resolution 1366 x 768 pixels Processor Brand Intel Processor Type Core i5-6200U Processor Speed 2.3 GHz Processor Count 2 RAM Size 4 GB Computer Memory Type DDR4 SDRAM Storage 128 GB SSD Number of USB 2.0 Ports 1 Number of USB 3.0 Ports 1 Number of HDMI Ports 1 Optical Drive Type DVD-Writer Operating System Windows 10 Lithium Battery Energy Content 32 watt_hours. LENOVO WIDESCREEN LAPTOP. FRESH INSTALL OF WINDOWS 10 READY FOR NEW USER TO USE. DVDRW DRIVE INSTALLED. HDMI & VGA OUTPUT. X 2 USB PORTS. WIFI:BUILT IN. Lenovo 110s 11.6". 1x Lenovo 110s. As part of the sale you"ll receive. Manuale dell'utente Sì. Adattatore AC/DC Sì. Contenuto dell'imballo. Peso dell'adattatore 2,7 kg. Altezza dell'adattatore 32,8 cm. Profondità dell'adattatore 7,6 cm. Larghezza dell'adattatore 51,9 cm. Dependable Performance. Incredibly Easy-to-Use. Crystal Clear Display. Say goodbye to standard definition. Laptop Part Windows 10. Recovery Partition Original Boxing. EX-DISPLAY LAPTOP GRADE A MAY SHOW SOME SLIGHT MARKS ON CASING, LAPTOP COMES IN ORIGINAL BOX WITH AC ADAPTER. BOX CONTENTS: LAPTOP, AC ADAPTER. Technical Details Brand name Lenovo Item Weight 2.2 Kg Package Dimensions 53 x 32.4 x 7.6 cm Manufacturer reference 80T700JFUK Series Ideapad 110-15IBR Form Factor Portable Screen Size 15.6 inches Processor Brand Intel® Processor Type Celeron N3060 Processor Speed 1600 MHz Processor Count 2 RAM Size 4096 MB Computer Memory Type DDR3 SDRAM Hard Drive Size 1000 GB Operating System Window 10 Graphics Card Description HD Graphics 400. Dependable Performance. - Incredibly Easy-to-Use. - Crystal Clear Display. Say goodbye to standard definition. Laptop Part Windows 10. Original Boxing What’s in the Box. C Marks / scratches visibl e. Screen Surround. Marks / scratches visibl e.
EX-DISPLAY LAPTOP GRADE-A, LAPTOP MAY SHOW SOME SLIGHT SCUFF MARKS FRONT AND BACK COVER, LAPTOP COMES IN REPLACEMENT BOX WITH AC ADAPTER BOX CONTENTS: LAPTOP, AC ADAPTER SPECIFICATION Description Lenovo IdeaPad 110-15IBR - 15.6 "- Intel Pentium N3720 @ 1.60GHz - 4 Gb - 1000GB 5400RPM Operating system Win10 64bit Processor Intel Pentium N3710 @ 1.60GHz Memory 4 Gb Memory 1000GB 5400RPM / - Display 1366 x 768 (HD) / 15.6 " Graphics Intel HD Graphics Integrated camera Yes Network connections Bluetooth / 802.11 ac / a / b / g / n Battery 3-cell - up to 3 hours Color Black Dimensions (HxDxH) 37.8 cm x 26.5 cm x 2.29 cm Weight 2.2 kg. Lenovo Ideapad 110-15iBR. 500Gb Hard Drive. lease do not hesitate to ask. DVD/CD Drive. Open Office Suite. Wordprocessor, spreadsheet, database etc. Microsoft Defender. (Virus, Spyware Etc Checker). 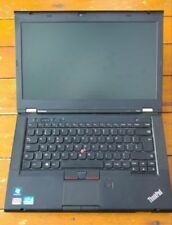 Lenovo Ideapad 110-15ISK laptop. 6GB ddr3 Ram. The laptop has been cleaned externally and is ready to use straight away! The specification of the laptop is listed below All photographs are of the actual laptop. Storage 32GB eMMC. 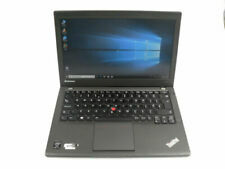 1 x Lenovo Ideapad 110S-11IBR Laptop Only. Hard Drive has been wiped with Blancco Drive Erasure. In the case of any software related problems we will do our best to help you but will not be responsible for the repairing the machine. 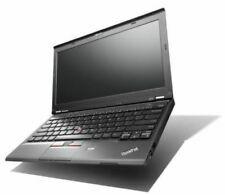 Lenovo IdeaPad V110-15ISK 15.6" Laptop Intel i5-6200U 12GB 250GB SSD Samsung Evo 840 verry fast laptop. DVD W10 . Condition is Used, but look nice conditions. Dispatched with eBay delivery – Shutl 1 day. 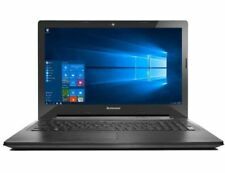 LENOVO IDEAPAD V110 80TL000RUK NEUF JAMAIS DÉMARRÉ. WINDOWS 10 PRO. Lenovo Ideapad 110 -15IBR. 1TB SATA HDD. Laptop Components. What is pictured is generally what you will receive. While we endeavour to use pictures of the actual item, this is not always possible when we have more than one for sale. EX-DISPLAY FULLY WORKING LAPTOP SHOW MARKS ON CASING FRONT, BACK AND SIDE, COLOR FADING TO CORNERS. THERE IS ONE SHOE MISSING ON BACK COVER. LAPTOP COMES IN ORDINARY BOX WITH AC ADAPTER.BOX CONTENTS: LAPTOP, AC ADAPTER. SPECIFICATION: Processor Intel® Celeron® Dual-Core N3060 Processor / 1.6 GHz Memory 2GB RAM Storage 32GB SSD Operating System Window 10 Webcam 0.3 MP Fixed-Focus Camera, Combo with Camera Audio 2 x 1 W Speakers Battery 31.9 WHr, **Up to 8 Hours Video Playback Dimensions (W x D x H) (mm) : 292 x 202 x 17.8 (inches) : 11.5" x 8" x 0.7" Weight Starting at 2.54 lbs (1.15 kg) Bluetooth® Bluetooth® 4.0 WLAN WiFi 802.11 ac Ports 1 x USB 3.0 1 x USB 2.0 Audio Combo Jack 1 x HDMI™ microSD™. 80TJ00A2FR Clavier Français. Avec Windows 10, exploitez les capacités de votre ordinateur à 100 % et profitez d'une ergonomie et d'une facilité d'utilisation intuitive, vite prise en main. Rapide, multitâches, flexible, convivial, pour jouer ou travailler, Windows 10 vous accompagne au quotidien. This Lenovo IdeaPad 110-15IBD is in good condition with scratches on the lid and base but the screen is in excellent condition. Lenovo IdeaPad 110-15IBD, AC power adapter. 1 TB HDD / 5400 rpm. 3.5 mm jack. That's why the industry-certified Trusted Platform Module is integrated into the Lenovo V110, enabling file encryption, password protection, boot protection, and more. The V110 also has a full range of ports, including super-fast USB 3.0, HDMI, and VGA.